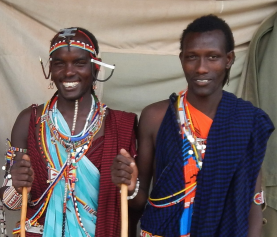 Prior to joining Lion Guardians, Merishi worked with Shining Hope for Communities (SHOFCO), Research Triangle Institute (RTI International) and AMREF Health Africa. He also worked with the Kenya National Examination Council on short contract basis. He has a professional background in both Psychology and sociology. While he has been with us for over two years, we have not had a chance to introduce him to the greater Lion Guardians family. 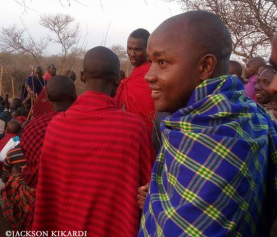 So recently we sat down with Merishi and asked him to reflect on his time with Lion Guardians. And this is what he had to say…. I was excited when Lion Guardians advertised the position of an office manager in 2015. I thought I should try my luck since I was eager to work in conservation and more so in Amboseli which is within my locality. I knew if I secure the opportunity, I will be able to work for my community. I had been working and studying in Nairobi since 2010 after my contract with AMREF Health Africa in Loitokitok ended. Thus, the opportunity came at a time when I was yearning ‘to go back home’ and work for my people. I was optimistic and I am glad that I was able to convert the opportunity into a job. I thank the Directors of Lion Guardians organization for believing in my capabilities. This opportunity allowed me to have good interaction with my community as I encourage them on matters conservation. I feel like I have added a new feather in my career since previously I only worked with organizations that focused on Education and Reproductive health research. The Lion Guardians team is a closely knit family. The Directors, management team, support staff and the Guardians are all people who are passionate about conservation. Being my first time in the conservation field, I have been able to learn so much from this supportive team. Lion Guardians is an organization that has an exciting group of people that value both culture and lions. I am glad to be part of this wonderful team of conservation warriors. 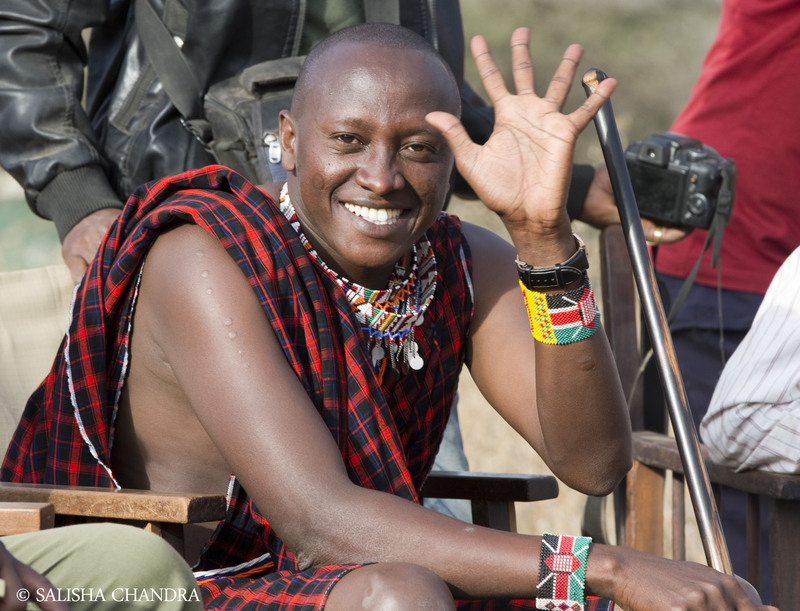 Lion Guardians has also given me several opportunities that acted as platforms for me to interact with conservation leaders from other parts of the world. Some of the notable trips that I have been able to make so far are the Tarangire and Ngorongoro (both in Tanzania) trips. They were very exciting and educative. I learned a lot from both. I am now two years and three months old in this organization. It has been an exciting career opportunity. I keep enjoying every moment that I share with my Directors, fellow managers, support staff and our Guardians. I am really impressed by the fact that the Lion Guardians organization employs non-literate morans (warriors) as Guardians. I feel moved when I see the ‘morans’ able to write their names and fill forms after going through a basic literacy program. Most of these warriors were once lion killers and Lion Guardians have been able to convert them into lion protectors. Over the years, the Guardians have established a strong connection with the lions in their respective zones and they have always been at the frontline in protecting them. The Guardians name the lions and they have fond memories and stories of each individual lion. I enjoy listening to their great stories every time. I admire the great approach used by my organization in conservation. I am encouraged by the fact that Lion Guardians recognizes the role being played by all conservation stakeholders in the ecosystem namely KWS, BigLife, Porini, Group ranch leaders and the local communities in conserving lions and other wildlife. 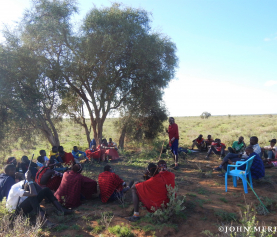 Due to the great effort by Lion Guardians team as well as other stakeholders, the Maasai community living within the ecosystem has embraced conservation to a great extent. They now believe that conservation is beneficial. They have shown great goodwill by coexisting peacefully with lions and other wild animals. Finally, I would like to take this opportunity to really thank the Lion Guardians Directors Dr. Leela Hazzah and Dr. Stephanie Dolrenry for coming up with a model that recognizes the role played by local or indigenous communities in safeguarding these magnificent animals. The lions of Amboseli will always roar with great courage knowing very well that they are in safe hands – those protective hands of the Lion Guardians team, conservation stakeholders and the Maasai community.